At a time when Hollywood seems to be waking up and making a concerted effort to make the film industry more diverse and inclusive both on- and off-screen, Film Independent is celebrating its silver anniversary of doing exactly that. This year marks the 25th anniversary of Film Independent’s signature program Project Involve, wherein filmmakers, producers, and directors, as well as programmers, animators, and writers are matched with mentors for an intensive nine-month program. 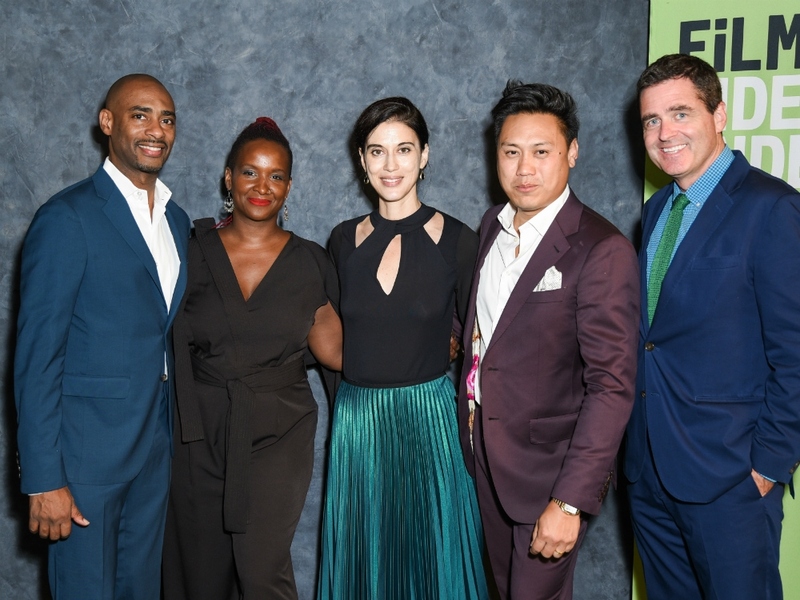 Project Involve alumni have become the new leaders in Hollywood (over 25 years in the making), including Jon M. Chu (director of Crazy Rich Asians) and Effie T. Brown (producer of Dear White People and Real Women Have Curves), both of whom were honored this past year by Film Independent at their annual gala. We asked Brown and Josh Welsh, the President of Film Independent, to reflect on Project Involve’s 25th anniversary. Where do you see Project Involve within the Film Independent landscape? JOSH WELSH: Project Involve is the beating heart of Film Independent, it's the core of our mission. 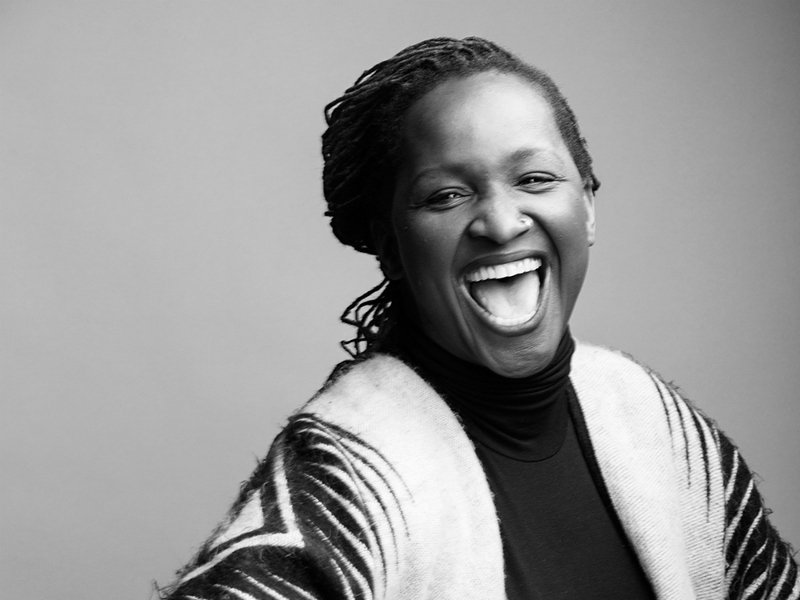 For 25 years, Project Involve has fought hard to make the film industry more inclusive. We have over 800 alumni of the program who are working in every part of the industry. How did Project Involve shape your filmmaking career? EFFIE T. BROWN: My mentor Laurie Parker was the one who taught me how to produce, how to be an ethical producer, how to be a producer with integrity. When you’re graduating college, you talk a big game. You’re frightened on the inside & you have no idea how to make this work, you just know that you have it in your heart to do this, the universe is telling you you’re supposed to do this, but you don’t know how, you don’t have any connections, and you’re thinking “I don’t look like they do, I look like the opposite of everyone who’s making it in Hollywood.” Laurie Parker plucked me up & looked past my bravado and bless her, she was like, “Okay sweetie, if I’m helping you, then when you make it—because if you do half of what you say you’re going to do, you’ll make it—you have to lean back & help somebody else. That’s the deal, because the biggest lie they tell us is that there’s only room for one of us, and when you make it, you’ll look to the left and to the right, and see that they lied—there’s room for more of us!” She taught me you’ve got to reach back and pull somebody up because more of us is power. She was my first mentor and my only mentor, and this is something I love about Project Involve: the program was only a year, but 25 years later, she & I are still working together. What is one of your fondest memories from your time with Film Independent? JW: Well, I met my wife here so that would have to be at the top! Beyond that, the chance to get to know so many filmmakers and to be able to see their work develop has been immensely rewarding. Watching Bing Liu's amazing documentary, Minding the Gap, which was developed in our documentary lab, when it premiered at Sundance this year was amazing. To see such great work and to know that we played a small role in helping the filmmaker get there is why we do what we do. From left to right: Charles D. King, Effie T. Brown, Cherien Dabis, Jon M. Chu, and Josh Welsh. What does the 25th anniversary of Project Involve mean to you? ETB: I am grateful for Project Involve because I can trace it all back like a tributary, everything in my career and my whole community all traces back to Film Independent and Project Involve. But I also want to turn to them and give them a standing ovation because they had this idea years before it was on the consciousness of everybody’s mind, on the tip of everybody’s tongue. All the big organizations are now like, “Oh, we have a diversity & inclusion program,” but Film Independent were the early adapters. And I’m grateful to Project Involve for teaching me how to walk through this business with integrity, how to walk through this business being socially conscious, and how to walk through this business with a community that you can rely on. What do you envision for the next 25 years of Project Involve? JW: First of all, I fervently hope that Project Involve doesn't need to exist in 25 years! This program is designed to address the glaring inequities in the film industry today—the lack of inclusiveness, the lack of representation both on screen and behind the camera. I hope that in 25 years this isn't an issue that we still need to fight for. But for the foreseeable future, it's a program that is still desperately needed and one that remains at the heart of Film Independent's work. Right now we are trying to expand the program to better address geographic diversity, to serve filmmakers outside of Los Angeles and New York. Also, next year we will include film critics and film writers from under-represented communities in the program. Effie, based on your journey, what advice do you have for artists starting out? ETB: My advice now, as a woman in my forties, is definitely different than the advice I would have given in my thirties and my twenties. In my forties now, I encourage the artist to really be clear on their what & their why—what do they want to do and why do they want to do it. Because that is going to be the only thing you’ll have to cling to when the obstacles come, the challenges come, the betrayals come, the bad breaks come: you have to have the courage of your convictions. And once you have your what & why together, you have to look around for your community. We can’t be strong all the time, that’s impossible, and it’s our vulnerabilities that make us great filmmakers & creators, and we have to keep that gooey part & we have to protect it, and one of the only ways we can do that is to find a community where you can be like “I need to go into the middle of the herd right now because I’m hurting right now, I’m a little lost right now, and I need to go in the middle & I need you guys to carry me.” My gooey part is that I wanted to make movies because I feel like stories can change the world. I really think they can make people understand each other and love each other. My what & why is storytelling as means of human connection, and my community has been Film Independent. That’s where I’m really grateful, and it’s something that didn’t cost me anything, and I didn’t need to be connected to get it, and anybody can do it. It’s for free and it’s fun. Project Involve is a free nine-month intensive program offering 30 up-and-coming film professionals from under-represented communities the opportunity to hone their skills and gain industry access. You may support Project Involve through a donation of any size here.